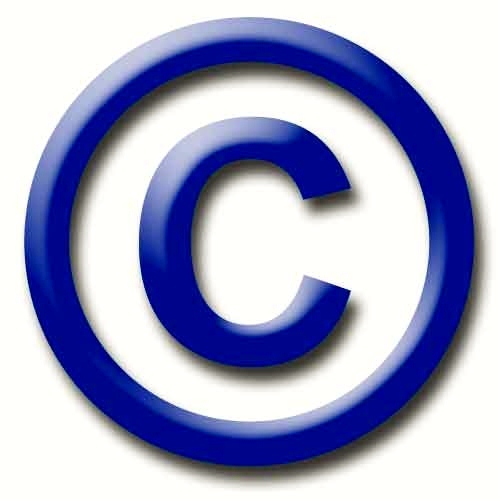 A copyright is a form of protection given to those who create “original works of authorship” in literary, dramatic, musical, architectural, artistic, and other specified types of materials, such as motion pictures, sound recordings, and computer programs. Note that certain types of materials are not copyrightable. These include titles, names, slogans and short phrases, ideas and things that have not been “fixed in any tangible medium of expression," processes, and systems. Some of these materials, however, may be protected as trademarks or patents. In the United States, copyright protection automatically exists when a qualified work is created for the first time in a tangible form, such as a recording or a copy. Though registration is not required in the United States, as practical matter, to enforce rights in a copyright against others, a copyright registration is required as a prerequisite to bring suit. As noted above, registration is a prerequisite to bringing a suit for copyright infringement in the United States. Registration is usually an inexpensive undertaking in the United States and should be seriously considered. Though registration may be sought at any time within the life of the copyright, registering sooner rather than later is advantageous because certain benefits exist. If registration is made within three months after first publication and before any infringement is discovered, statutory damages and attorney’s fees will be available to copyright owners who file actions in court. If registration is not made within this time period, only actual damages (which can be difficult to establish) and profits may be recovered. If registration is made within 5 years of publication, the registration creates a presumption that the copyright is valid, as are the facts stated in the copyright registration certificate. The registration also establishes a public record of the copyright claim. Registration of the copyright in another country may not be necessary if that country is a member of a treaty with the United States that automatically recognizes the registration. See the following link for information about the Berne Convention, which is the treaty most often used to protect U.S. copyrighted works abroad: http://www.wipo.int/treaties/en/ip/berne/. An attorney should be consulted if copyrighted material will be used outside the United States. The proper copyright notice is © followed by the name or accepted abbreviation for the name of the owner and the year of first publication. For example: © LNK, 2001. These three elements should be presented together and positioned in a manner so that the notice is obvious. The point of the notice is to advise others of the claimed rights in this material. The purpose is defeated if the notice is so small that it cannot be easily seen or if it is in a location that will be overlooked. Though this notice is no longer required in the United States for works published on or after March 1, 1989, using this notice on all copies of the work so as to prevent an infringer from claiming that its use was “innocent” is advisable. To transfer some or all of the exclusive rights in the copyright, the copyright owner must transfer these rights in a written instrument. Such rights may not be transferred by verbal agreement. Ownership of copyrights can be confusing. Usually, the owner of a copyrighted work is the one who creates the work. There may be more than one creator of a work, and usually co-creators will be deemed equal co-owners. When an employee creates a work in the course of the employee's employment, however, the work usually belongs to the employer. Also, certain types of works created by one who is commissioned according to a very explicit written agreement will belong to the party requesting the commissioned work. The latter two types of works are called “Works for Hire.” Not all works requested by one party from another will be considered “Works for Hire.” Consulting with an attorney about a particular situation is recommended to be sure that the copyright owner has secured the rights intended. The duration of a copyright in a work in the United StateTs will depend upon when the work was created. Generally, for works created after January 1, 1978, the duration of the copyright extends for the life of the author, plus 70 years after the author’s death. Determining the duration of a work created before January 1, 1978, may be complicated. Consultation with an attorney versed in copyright law is recommended.